Prince GT: Godzilla's Grandpa was every bit as charismatic in its day. 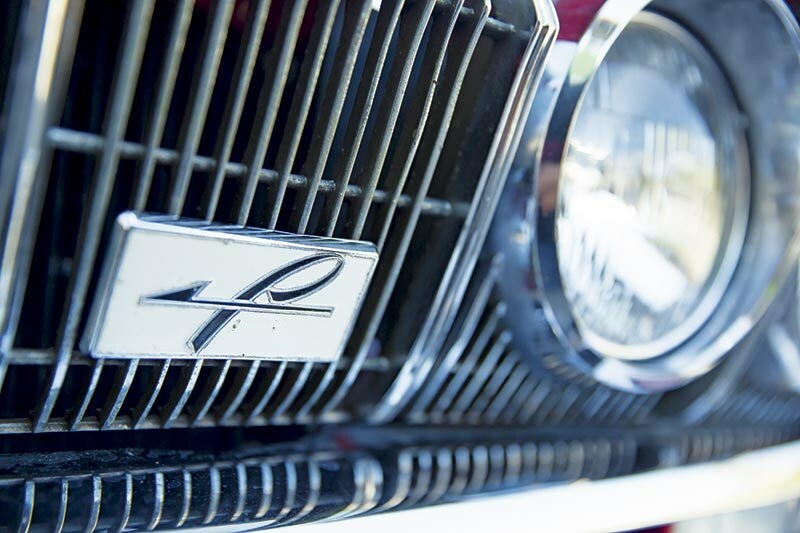 Fifty years ago, the idea of a Japanese high-performance sedan was almost an oxymoron. 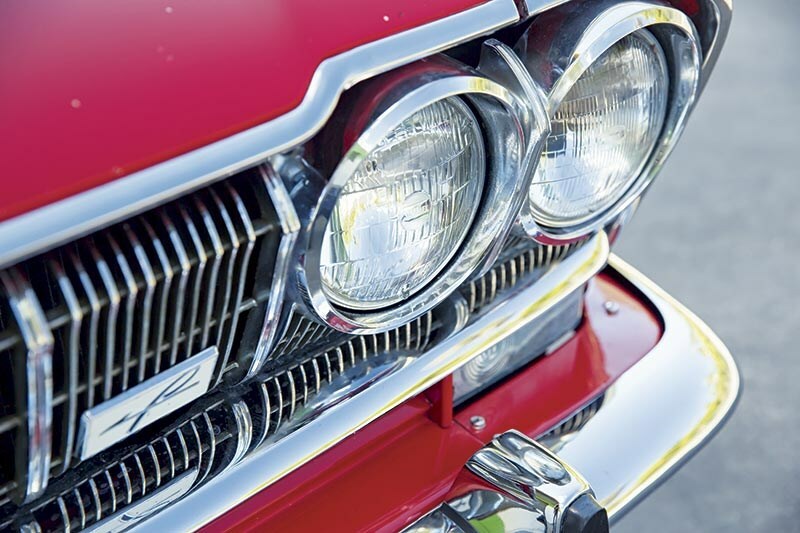 While Japanese cars brought new standards to the automotive industry in the ’60s: well made, well equipped, reliable and good value for money, there wasn’t much call for high-performance cars in a country with a blanket speed limit of 60km/h. Then in 1964, the Japanese government increased speed limits, a nascent culture of performance cars developed and motor racing gradually gained popularity. Tapping into this emerging need for speed, the Prince Company decided to raise its image and go racing. It’s hard to imagine a less likely combatant. 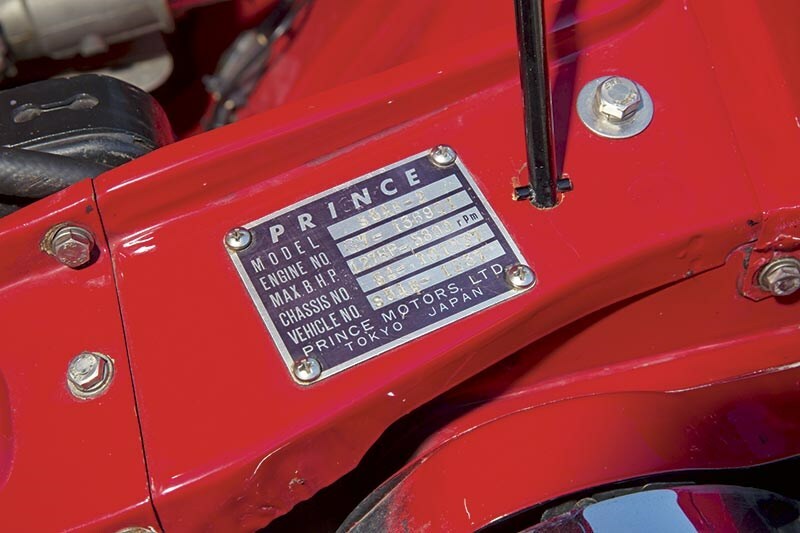 Prince had its origins in the Tachikawa Aircraft Company, which went into vehicle production in the early 1950s with small electric commercial vehicles. It soon morphed into the Prince Motor Company, named after Crown Prince Hirohito, and in the mid-fifties Prince introduced the Skyline family car, powered by a four-cylinder 1500cc engine. In 1961 came the larger, more luxurious six-cylinder Prince Gloria fitted with a single carbie, 1998cc engine producing 105hp (78kW). What could you do with such a range to go racing? Simple – drop the six-cylinder engine of the Gloria in the smaller Skyline. Prince engineers also cut off the Skyline’s nose in front of the firewall and inserted an extra 200mm, increasing the wheelbase by the same amount. Inside the engine bay this modification is clearly visible and it gave the signature long-nose, short-boot appearance. Then came some serious work on the heavy, asthmatic six-cylinder engine: triple Webers, improved gas flow, higher compression and a freer-breathing exhaust liberated another 15kW. The coil and wishbone front suspension and rear leaf springs of the four-cylinder car were kept and a rear torque rod was added, along with anti-roll bars front and back. A small number were built to homologate the cars for racing and when these proved popular, they put the GT into production, codenamed S54BE-2. The ‘B’ is important, as in 1965 Prince introduced the Skyline GTA (codenamed S54AE-2) that had the Gloria’s unmodified 78kW single carby engine. ‘B’ models had a red GT badge, while ‘A’ models had a blue badge. 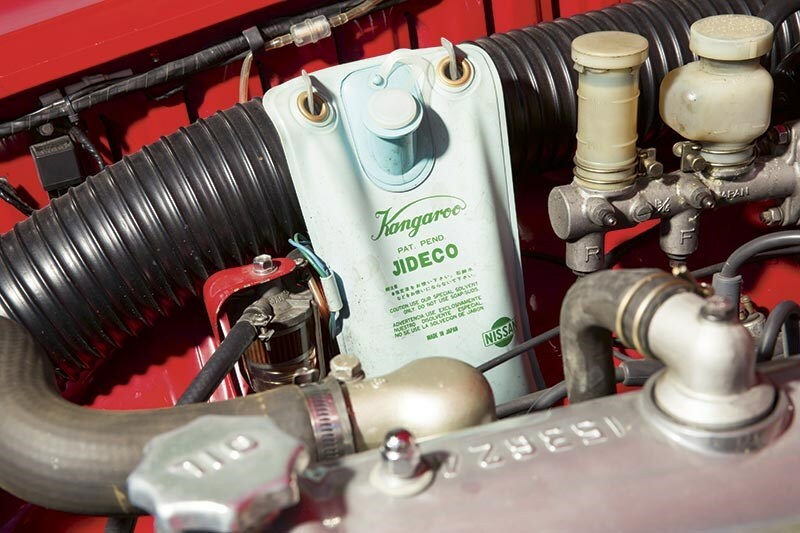 When the Gloria Super 6 was fitted with a 2494cc six-cylinder engine for 1964, production Skyline GTBs used this engine sleeved back to 2.0-litres for homologation. 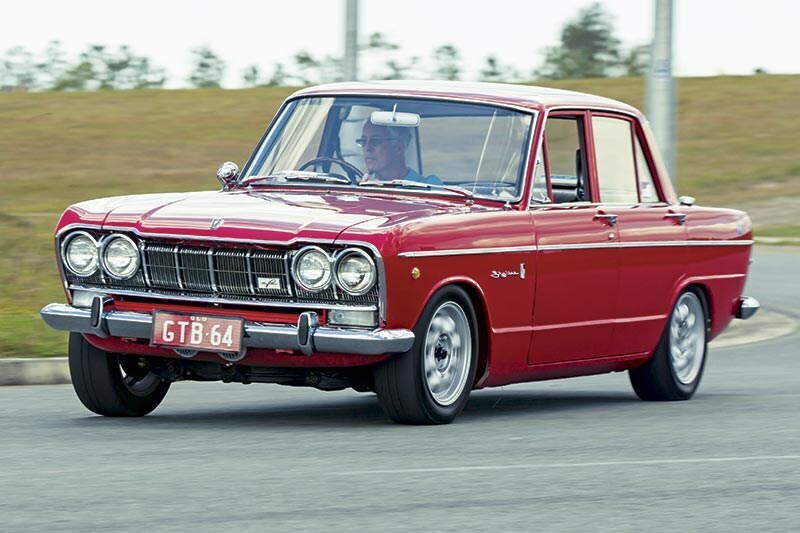 The Prince Skyline GTB made its debut at Suzuka in May 1964, with five cars contesting the 1000-2000cc Grand Touring class. Although a Porsche won, Skylines filled the next five places and the model became an overnight legend. 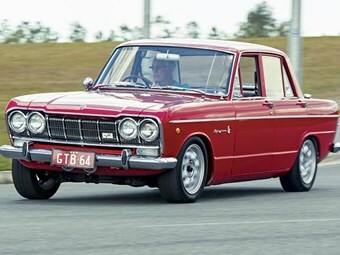 In 1966, under Japanese government pressure to rationalise the car industry, the small Prince company became part of Nissan, who produced the Skyline GT under the Prince name. A third series of Skyline GTs appeared with several enhancements, although power output remained unchanged until production ended in 1968. A significant improvement was a Prince-designed gearbox with an overdrive fifth gear. 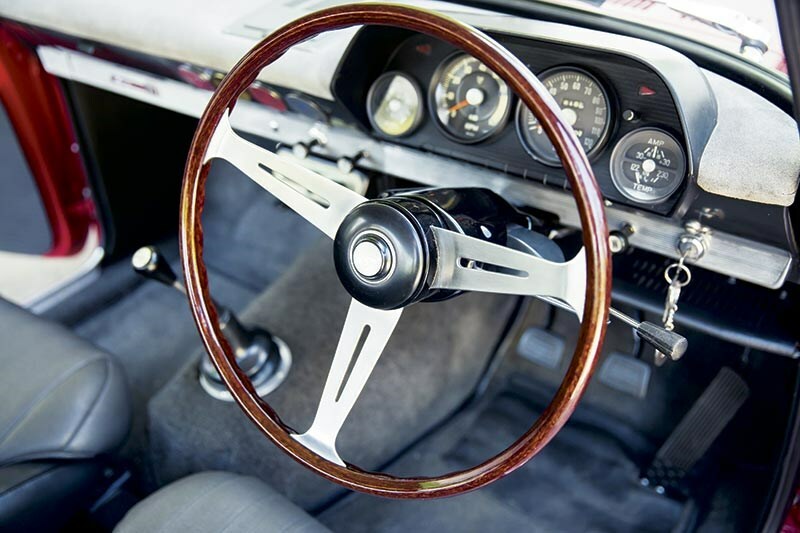 Other changes included a standard limited-slip differential, seat belts and flow-through ventilation. The rest is history, culminating in today’s 11th generation Nissan R35, a Skyline in all but name. 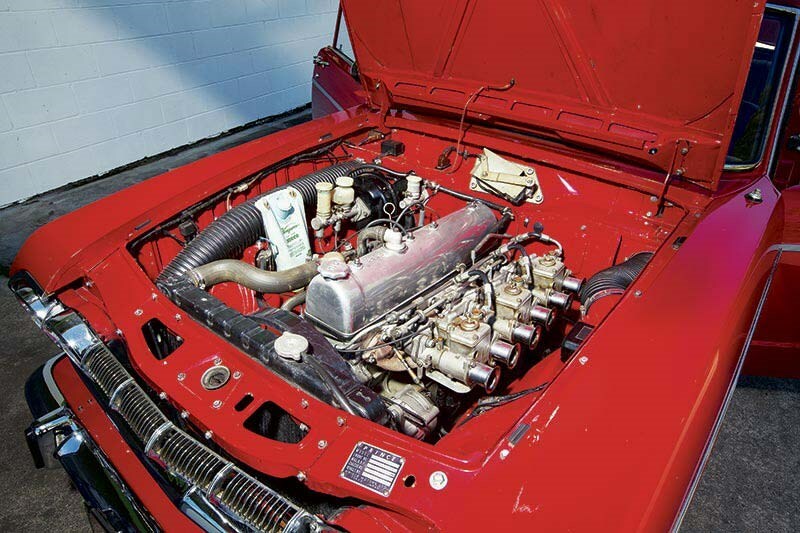 So in a quirky Japanese way, the Skyline GT/GT-R has remained true to its original six cylinder, front-engined template – albeit with a change from straight six to V6 and rear- to all-wheel drive along the way. After the demise of the Prince name, Nissan retained the Skyline GT nameplate for its performance models and the ‘GT’ badge that graces the current GT-R is much the same as the one on the original GTB of 1964. 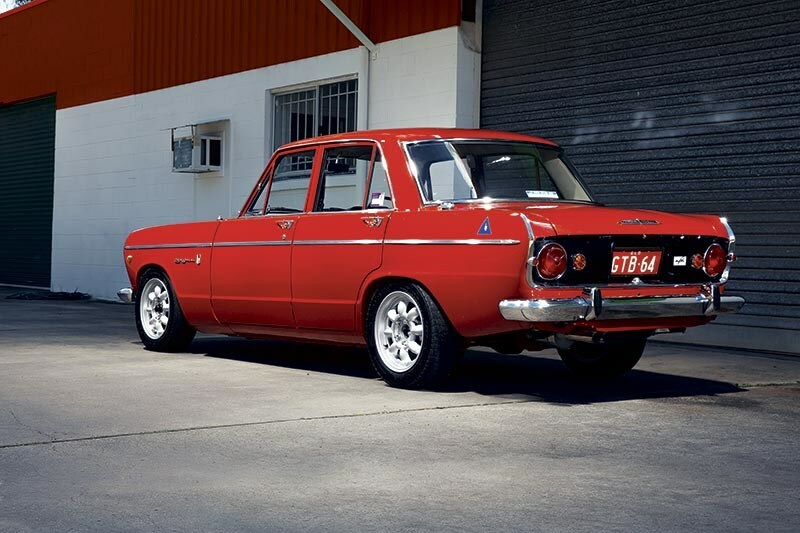 As a true performance car pre-dating the Falcon and Monaro, they were snapped up by Australian enthusiasts. 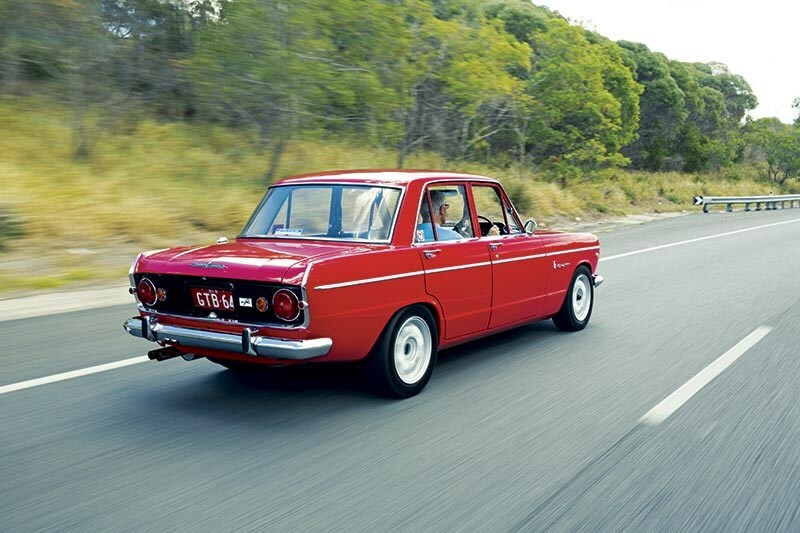 One contemporary road test recorded the Prince Skyline GTB’s top speed at 179 km/h, an impressive figure at the time for a Japanese family sedan. Skyline GTBs raced in the 1966 and ’67 Gallagher 500s at Bathurst, with Jack Murray and Bill Ford failing to finish in ’66. Two Prince GTs were on the grid for the 1967 race, but while Bailey and Hicks DNF’ed, Carl Kennedy and Murray finished 34th out of 48 finishers, 17 laps behind the Falcon XR GT of winners Harry Firth and Fred Gibson. They were two years too late: had the GTB gone to the Mountain in 1964 with crack local preparation, management and drivers, they could have given the winning Vauxhall Viva of Spencer Martin and Bob Brown, or even the 1965-winning Cortina GT500 of Barry Seton and Midge Bosworth, a serious run for their money. . . . Prince only built the Skyline GT in right hand drive and, of the 300 or so that came Down Under in the 1960s, only a fraction survive. One of the best is the prized possession of Caloundra-based Australian Off Road caravan manufacturer Steve Budden. 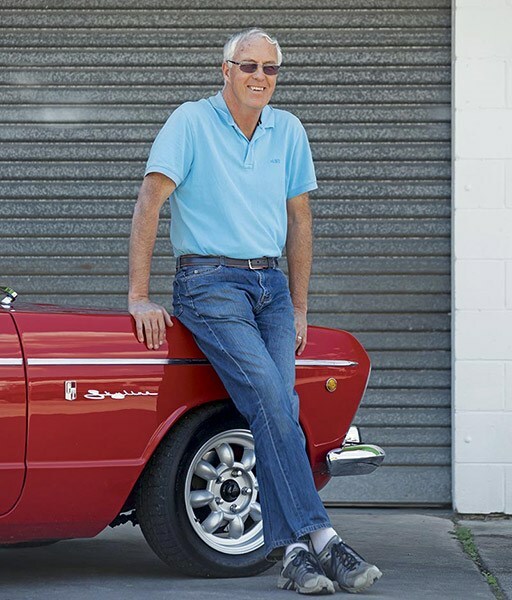 The young Budden was a car enthusiast and would ply Sydney’s Parramatta Road, eyeing off the cars at the specialist dealers that he would test-drive on the pretence of buying them the next day. However the one that really fired his imagination was the then-new Prince Skyline GT. "In those days of EH Holdens and the Cooper S, there was nothing like it," he recalled. "I was smitten, but there was no way I could afford one." A quarter century later in 1989 and as the proprietor of a car restoration business, he got his chance. "I wanted a Prince, like the one I fell in love with when they were new, but I couldn’t find one in the right condition, so I decided to build my own," he recalled. 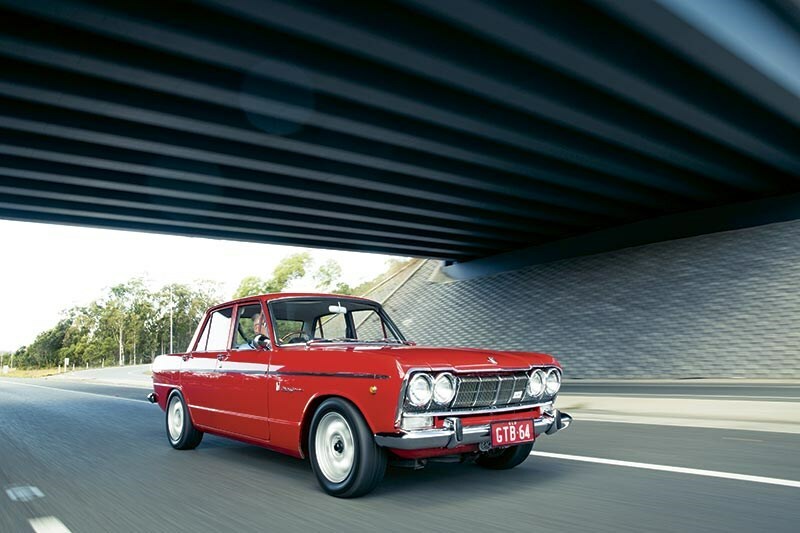 Not surprisingly, Nissan didn’t have parts for a car that wasn’t originally theirs, so he found three cars – one to restore and the others for parts – through the Australian Prince Skyline GT Register. The beautiful GTB he has owned on and off over the past 25 years is the result. Still resplendent in the same 25 coats of bright red acrylic lacquer over a two-pack that he sprayed on it in the early 1990s, the Skyline with its original 2.0-litre straight six remains a standout classic today, with Budden as enamoured with it as ever, although it only re-entered his life two years ago after a break of two decades. After a major life change, Budden quit the restoration industry and established his camper business in 2000; the GTB was sold at auction on the Gold Coast, but the gap in his garage gnawed at him and two years ago Budden tracked it down and bought it back. "I just didn’t feel right without it," he said. "The person I bought it from had fitted a radio and rear speakers, which I don’t like, but otherwise the car was just as I sold it. I gave it a buff and it came up beautifully!" It’s easy to see while the Prince GT elicited such passion. 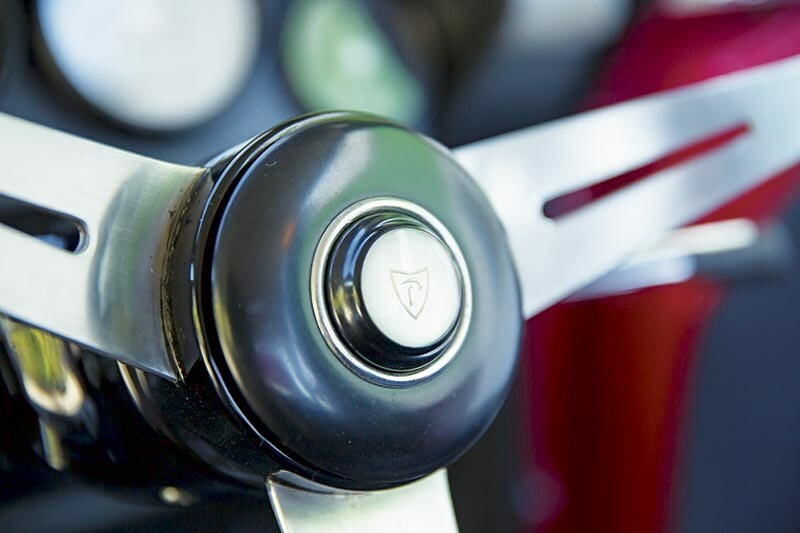 The long nose and short tail give it a purposeful stance that implies it’s ready to spring into action; it does exactly that when Budden inserts the ignition key beside the beautiful thin-spoked Nardi steering wheel and fires up the little straight six. There’s something immensely cathartic about nursing a triple twin-draught Weber-fed engine to life, starting with its apologetic coughs and splutters as it clears its throat, followed by deep and energetic sucking as it encourages each of its six plugs to fire and burn off their fuel fog through trademark twin tailpipes. The absence of air cleaners on Budden’s car amplifies and purifies the sound, and when the Webers and plugs get their act together, you realise what we’ve lost in this sanitised automotive age of direct injection and turbocharging. Steve Budden’s car is as original as his resources allowed him to make it, with the only external exception being its 1960s Minilite-style alloys shod with sticky racing rubber instead of its original steel wheels, which have been lost over the years. But everything else is period perfect, down to the ‘Skyline’ script and correct red ‘GT’ badge on its front flanks and stylistic ‘P’ on its tail panel and engine grille. Like the GT badge, the taillights pioneered the circular ‘hot plate’ style that inspired the trademark look repeated on later Skyline models. 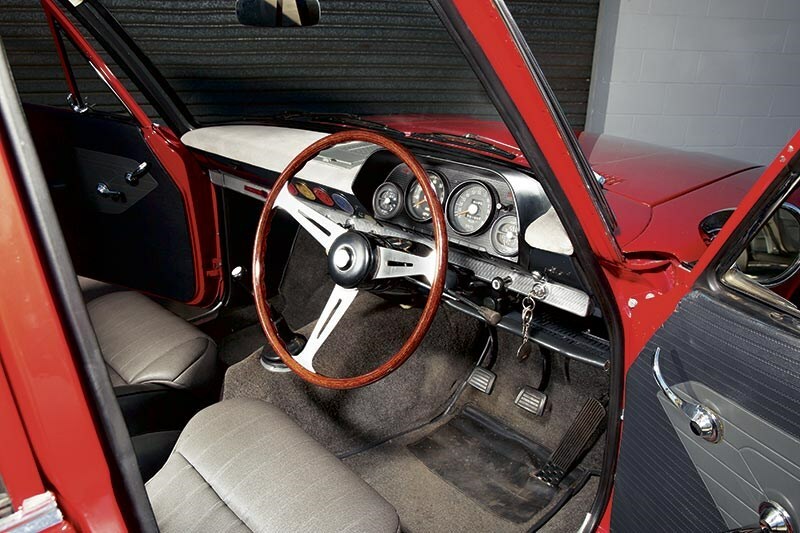 Production Skyline GTBs initially came with a licence-built ZF full-synchro four-speed gearbox. 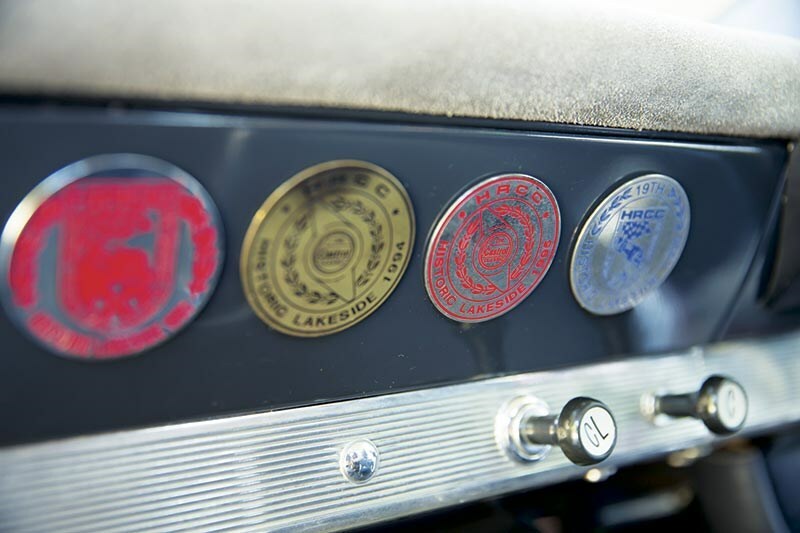 A five-speed box was available for competition, but these are extremely rare and hard to find these days. "It’s like a Swiss watch underneath," he enthuses. 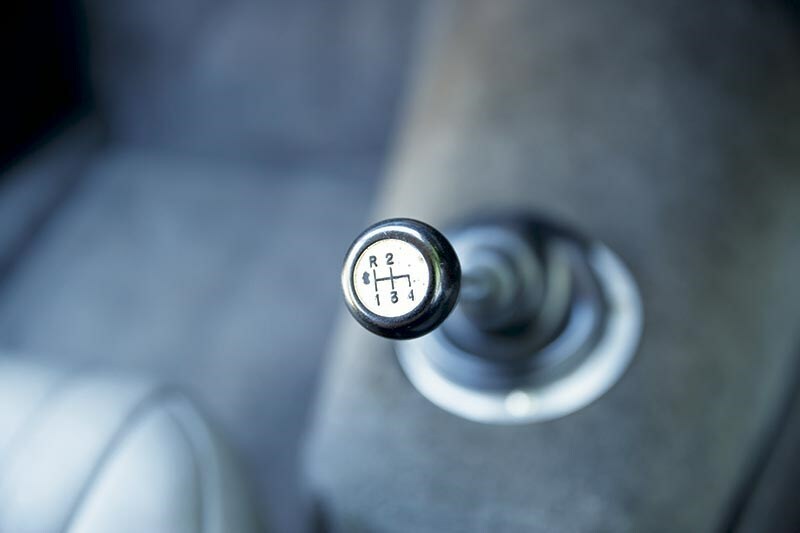 "For example, all the suspension bolts are stamped with their torque settings and the suspension itself is steel jointed, so although it has recirculating ball steering, it’s as precise as a good rack and pinion system." 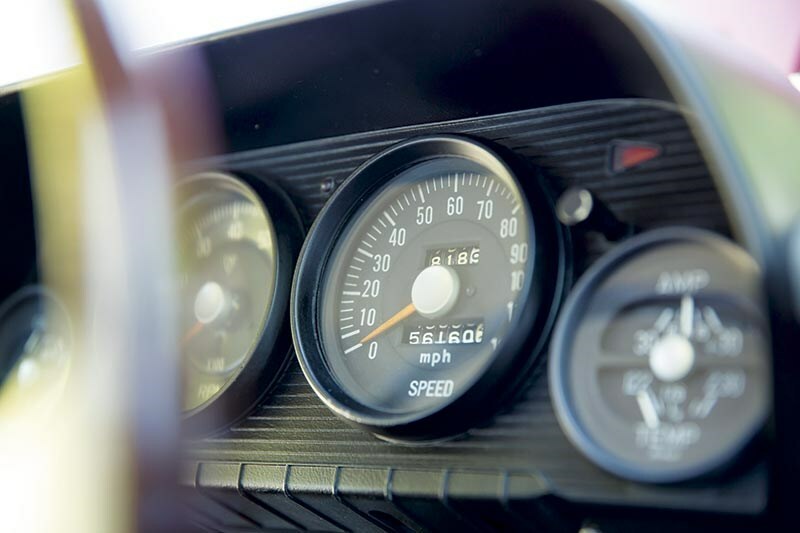 Despite its competition intent, the car is amazingly docile at lower speeds and will potter along in top gear at 1500rpm, then accelerate smoothly to its indicated redline at 6,500rpm. The ride is firm but relatively comfortable, even with the track-day set up that Budden has given it and on its sticky racing rubber, and the Skyline devours corners with relish. Now the GT is about to enter the next phase of its life - as an historic racer - but it’s staying in the Budden family, as it will be campaigned by Steve’s son Paul who will take it over ‘on permanent loan’. "It laps Lakeside in 1min 13sec so it’s no slouch", said Budden Sr. "It will be great to see it doing what it was built to do!" 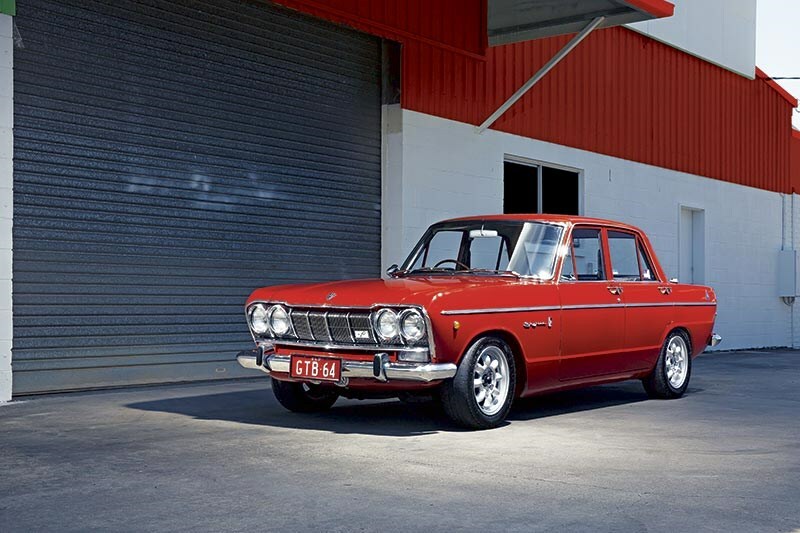 Like many early Japanese cars, the 1964 Prince Skyline GT ‘B’ has become a cult car in its homeland today, where good original examples change hands for the equivalent of $40,000, although some have sold for as much as $60,000.